You're the kind of person who isn't afraid to spread a little love around. 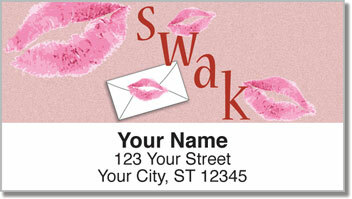 So why not send a big smooch with this affectionate set of return address labels available exclusively from CheckAdvantage! This design was actually created from real lipstick kisses! It's the perfect way to warm the hearts of everyone on your mailing list. 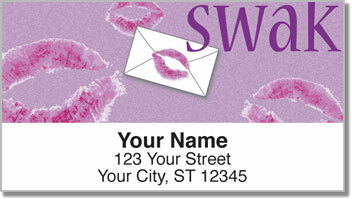 Not only are Sealed With a Kiss Address Labels super cute, they will also make the job of preparing your outgoing mail fun and easy. Just peel and stick them on envelopes or anything else you want to mark as your own! 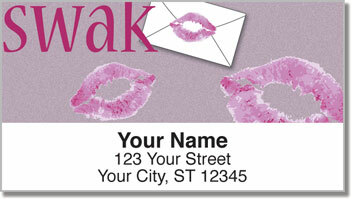 Order Sealed With a Kiss Address Labels right now! 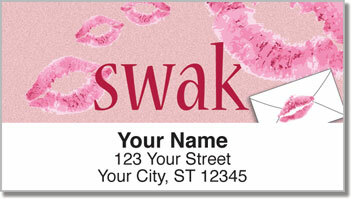 This adorable design can also be found in matching personal checks.